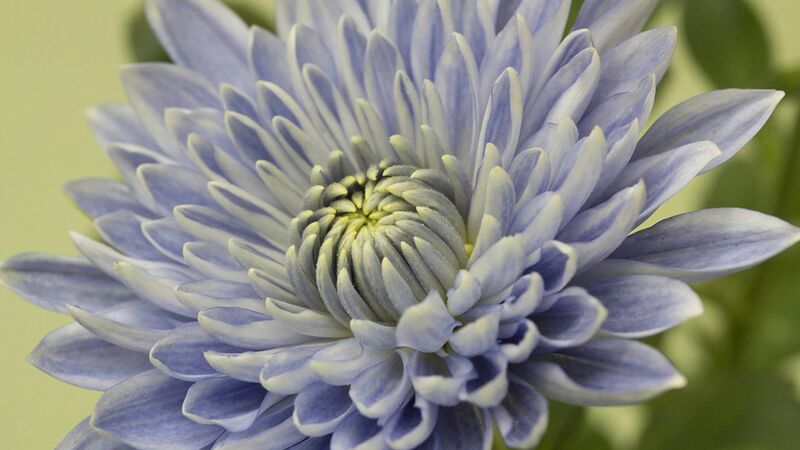 Scientists have engineered a "true blue" chrysanthemum for the first time. After roses, chrysanthemums are the world's top-selling flowers, available in every color but blue. How it works: Despite hundreds if not thousands of years of breeding and earlier attempts at engineering, humans have never been able to make blue chrysanthemums. (The flowers are naturally pink, red, magenta, yellow and white and, through breeding, orange and green.) The plant lacks an enzyme that creates the blue-violet pigments found in other flowers. By introducing a gene from the blue-flowering Canterbury bells that encodes that enzyme and a related gene from butterfly peas into the chrysanthemum, researchers at Japan's National Agriculture and Food Research Organization created a blue-hued flower, as defined by the Royal Horticultural Society. What's next: Roses, carnations, lilies, gerbera daisies and other flowers lacking blue hues might also be engineered in the color.